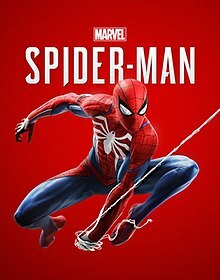 Marvel's Spider-Man was released worldwide on September 7, 2018, exclusively for PlayStation 4. Customers who pre-ordered the game were given instant access to some unlockable, in-game features, including alternative costumes (Spider-Punk, Iron Spider, and the Velocity Suit), skill points to unlock abilities, the spider-drone, a Spider-Man theme featuring artwork by comic book artist Adi Granov, and a user avatar for the PlayStation software. Special versions of the game were also made available; the "Digital Deluxe" version includes access to The City that Never Sleeps' three story-based DLC chapters and a limited-ion Spider-Man pin for pre-orders of this version in the U.S. and Canada only. The Collector's Edition includes The City that Never Sleeps DLC, a custom steelbook case for the game, an artbook containing concept and unreleased art, a white spider sticker, and a Spider-Man statue created by Gentle Giant. Sony also released a limited-ion red PlayStation 4 Pro bearing the Spider-Man emblem and including the standard version of the game. "Nominee List for 2018". National Academy of Video Game Trade Reviewers. 11 February 2019. Retrieved 12 February 2019. "Winner list for 2018: God of War breaks record". National Academy of Video Game Trade Reviewers. 13 March 2019. Retrieved 13 March 2019. Stark, Chelsea (September 7, 2018). "Spider-Man's post-crs scenes set us up for a sequel perfectly". Polygon. Archived from the original on October 5, 2018. Retrieved October 5, 2018.